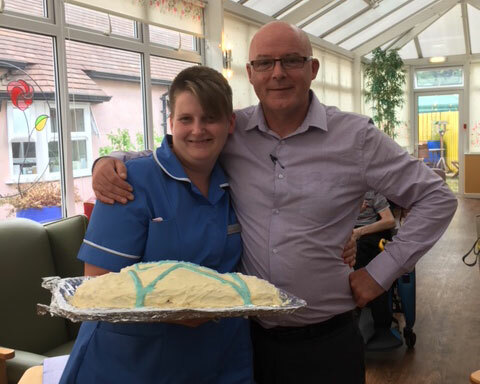 Congratulations to AJ, a Care Practitioner who has just achieved her 15 years service at the Vicarage Nursing Home. Home Manager Christian Grey made a presentation to her on this momentous milestone. AJ has worked at the Vicarage since leaving school as a carer, senior and now a care practitioner recently achieving her NVQ level 5.